In the occupied Pikuzy, the unmanned aerial vehicle of the OSCE mission came under fire. 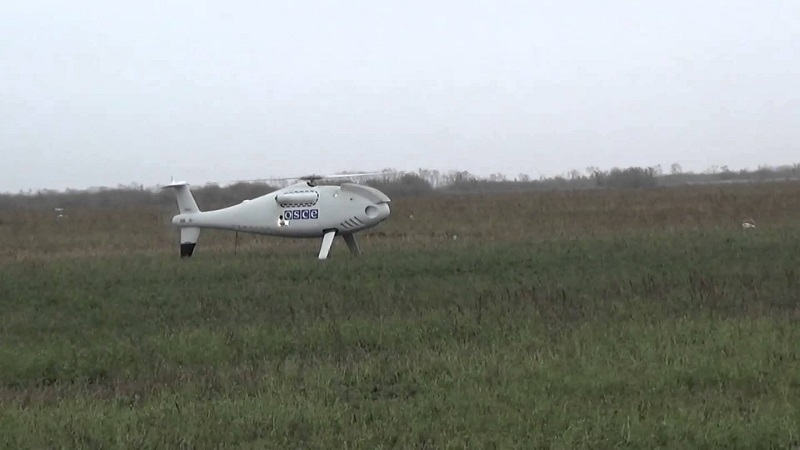 August 10, the OSCE SMM unmanned aerial vehicle was fired in the territory of the DPR-occupied village of Pikuzy in the south of the Donetsk region, according to the reported of the OSCE SMM on Twitter. “SMM UAV was fired on in "DPR"-ctrl Pikuzy. Another effort to prevent SMM from monitoring. JCCC was present but failed 2 facilitate security,” the report says. The mission also notes that after the UAV was fired, the militants obstructed the work of the SMM patrol in Pikuzy not allowing the observers for 20 minutes and threatening to confiscate the video from the UAV, which is a grave violation of the Minsk agreements. Previously, in early August, in the self-proclaimed "Luhansk People's Republic", during the "exercises" - practical shooting of militants - a civilian received a gunshot wound.